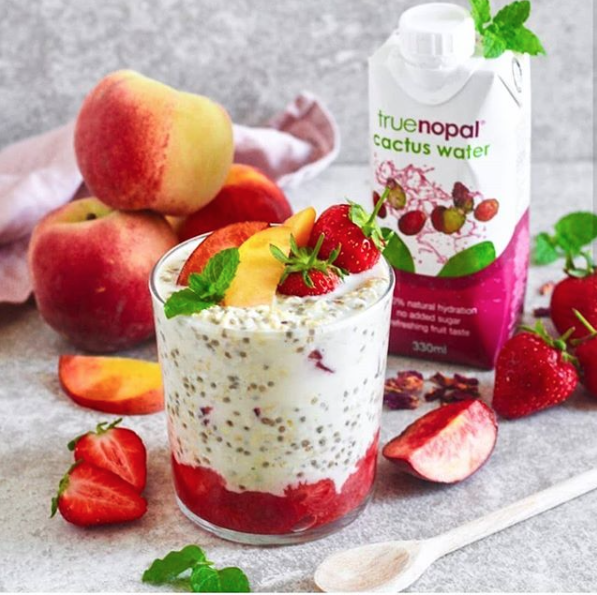 Soak oats and chia seeds in True Nopal and plant based milk overnight in a refrigerator. In the morning, heat crushed strawberries & peach over a stove until they turn juicy! Place compote in a glass and top with oats & fresh fruit.